HMAS Huon is the first of six Huon class minehunters built for the Royal Australian Navy by Australian Defence Industries, Newcastle, NSW. The ship is the most advanced of its type in the world. Like her sister ships, Huon is made of fibre reinforced plastic and has a unique single skin solid hull that has no ribs or frames and provides high underwater shock resistance and very low magnetic and noise levels. This hull is designed to flex inwards if an undersea explosion occurs nearby. All machinery/equipment is mounted on cradles or suspended from bulkheads to further enhance resistance to shock damage and protect ship systems. 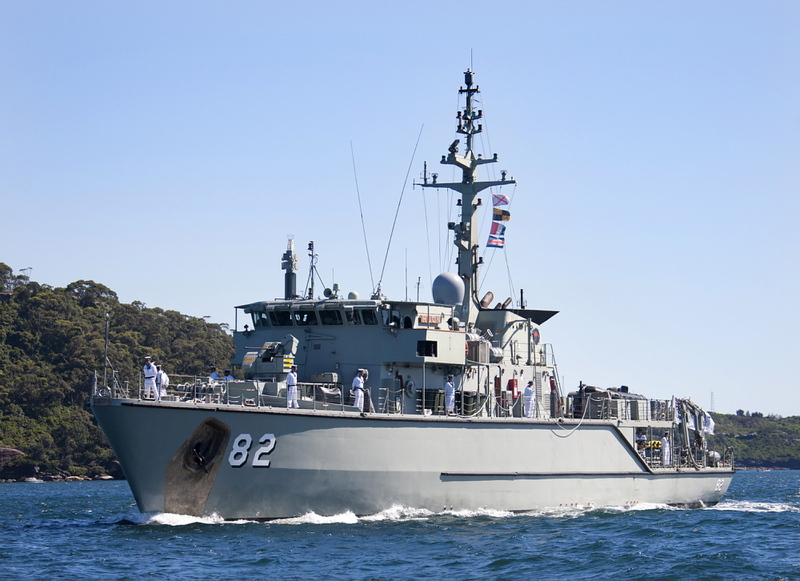 The Huon class minehunters are all named after Australian rivers. Huon is the second RAN ship to carry the name. The first was a River class destroyer in commissioned service during World War I.